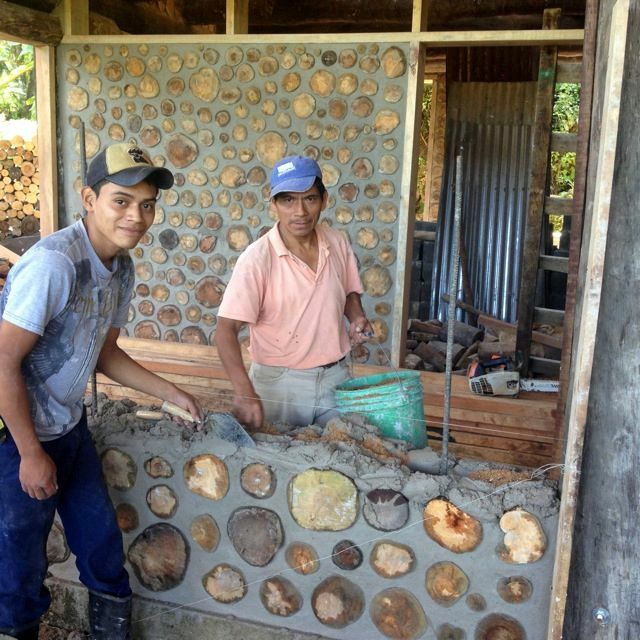 Tara Cahill, a biologist and environmental scientist at the Community Cloud Forest Conservation in Guatemala, made contact and asked for cordwood help with their Quetzal shaped classroom buildings. 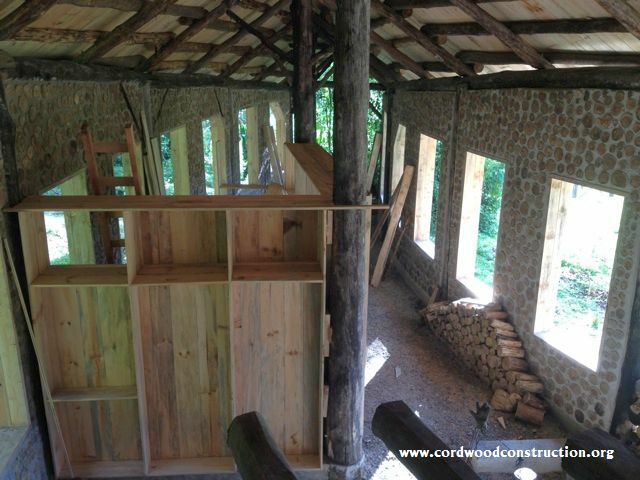 We were unable to coordinate schedules to do an in-person workshop, but we provided assistance and encouragement via email and with the book Cordwood Construction Best Practice. The framework is made from non-native Eucalyptus, which was in need of thinning. The wood is basically insect and rot proof, and the Community Cloud Forest Conservation is replanting 20 trees for every one harvested. 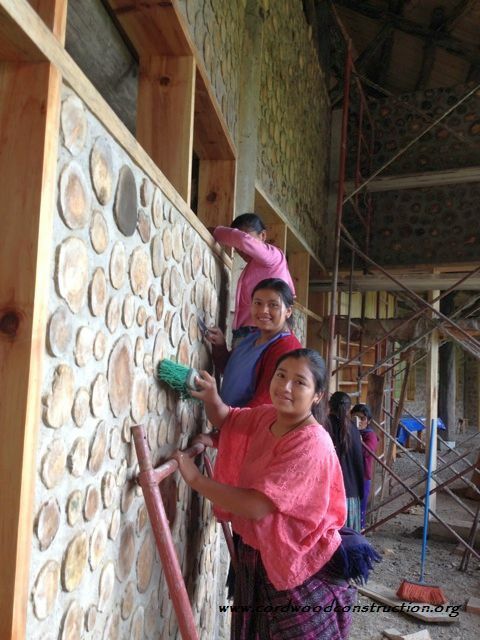 In July of 2012, CCFC began cordwood construction on a new 12,950 square-foot Learning Center at the Chilaxha’ Ecology Campus. The center’s two quetzal-shaped buildings will house CCFC’s expanding Conservation and Agroecology Leadership Training (CALT) Program. Laying the log ends between two mortar beads and the center cavity is insulated with sawdust. The logs faces are cleaned in preparation for the walls. The excess mortar is cleaned off once it has dried. Rebar was placed in the walls for seismic protection. As the building narrows, you can see that it is shaped like a Quetzal bird. 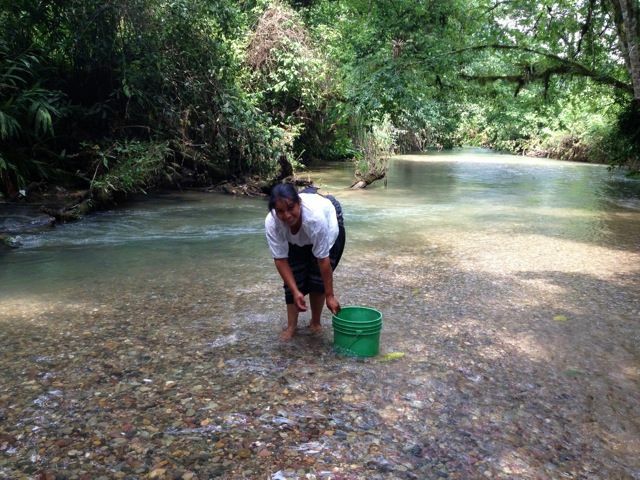 Community Cloud Forest Conservation alleviates poverty and protects cloud forests through education, reforestation, academic scholarships, agricultural development, food security, income generation and holistic community and human development. The classrooms will be used by hundreds of students who will learn valuable economic skills to combat poverty. 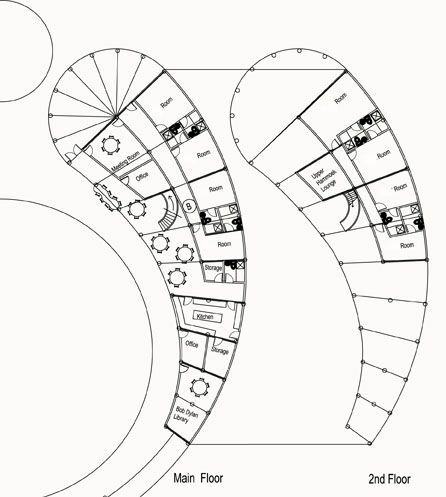 Note how the building is designed to encourage air flow. 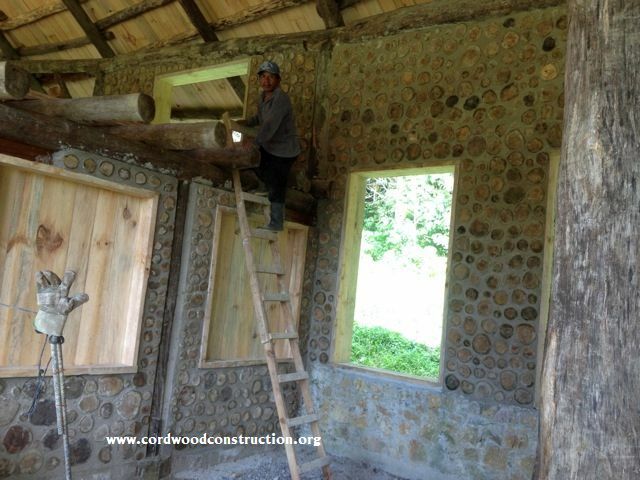 The workers are paid a fair wage and are enjoying learning the cordwood construction process. 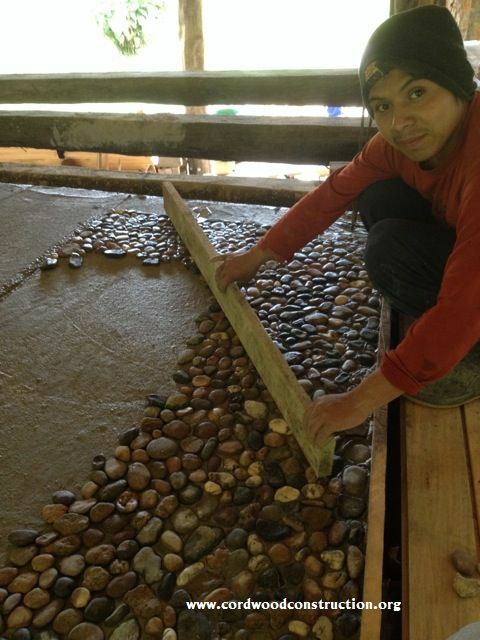 The floors are made with rocks picked from the river. The roof is made from recycled tires. If you wish to learn more or help their work, please visit their website. 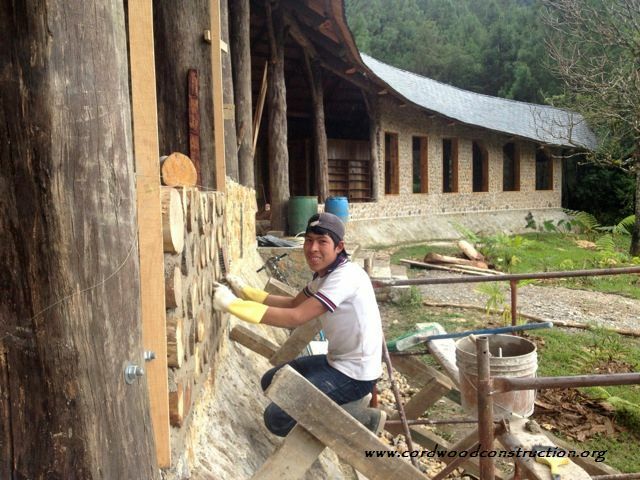 “The buildings being built on the Chilaxha’ campus use sustainably harvested wood and wood utilization methods that maximize efficiency and minimize waste. A section of the campus has a large stand of mature eucalyptus trees. These trees were all planted at the same time and the trees are ready to harvest. These non-native eucalyptus trees are not something that CCFC wants to see occupying valuable forest zones. So CCFC is planting 20 native trees for every one mature eucalyptus tree that is harvested. These native trees are well established since CCFC started planting trees on the Chilaxha’ campus three years ago. Eucalyptus trunks make great poles. They are nice and straight, and don’t get attacked by wood devouring bugs, like other types of wood in the area. It is deeply gratifying to see two of the three bathroom buildings in use. As of today, we have made fully functional five of the ten toilet stalls, but for now this is enough for the fall CALT session of 62 participants. If one takes into account the three toilet stalls at the dorm and the four toilet stalls at the thatch house, it seems to be working well. Of the two large quetzal shaped building, one is larger than the other. 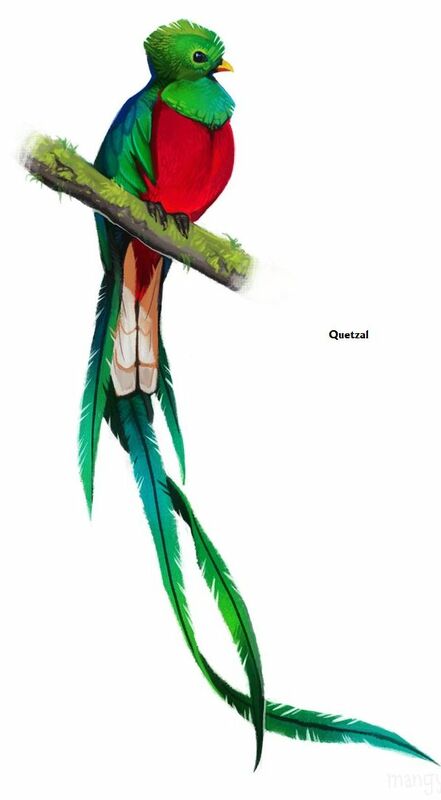 These we call the small and large quetzal. As of today, all of the poles, which are the main structure of the building have been erected except for the four tallest at the head of the quetzal. Our carpentry team has been making progress putting up the beams and rafters, having started from the tail- end of the quetzal and moving toward the head. We are thrilled to have available to us roofing material made of recycled tires. 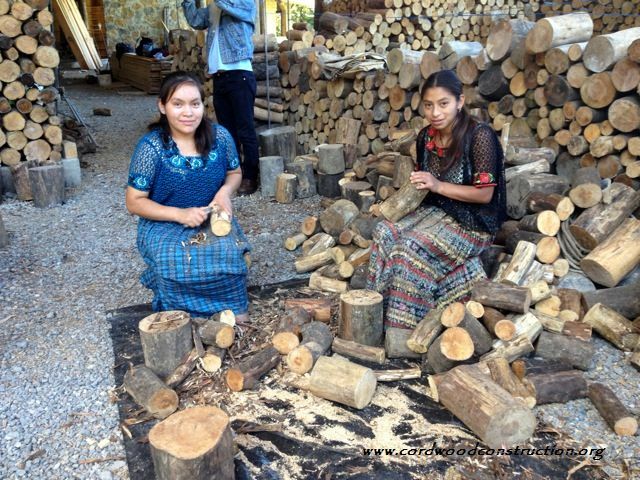 This material is coming from Canada and we hope will be arriving in Guatemala next month. The water tank took a good bit of our time away from the main building project but it is now fully functional and providing water to all CCFC buildings as well as a soon to be hydroelectric generator. 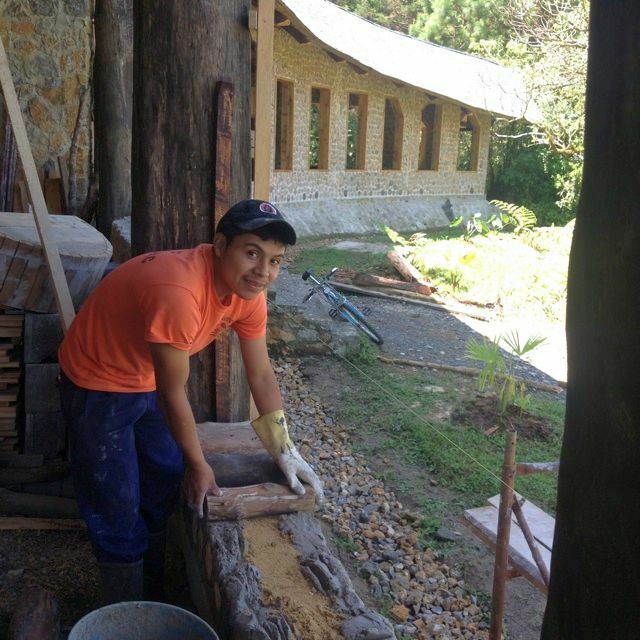 While the structure is going up all around the building, our masons are hard at work placing water and drain tubes in the bathrooms and kitchen of the small quetzal. 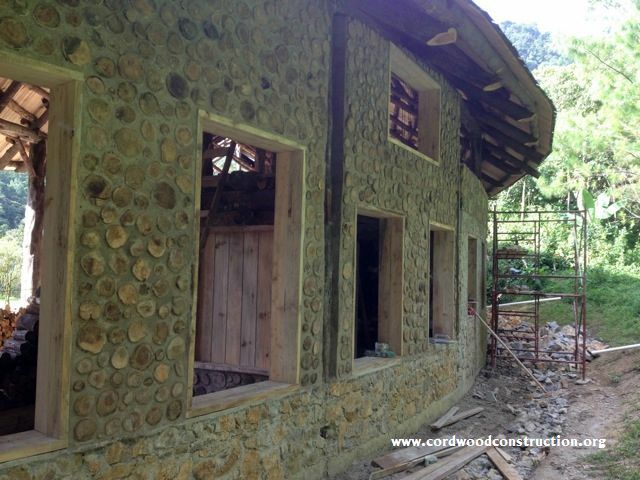 Join us as we build an amazing series of buildings in this little tucked away paradise of cloud forests. 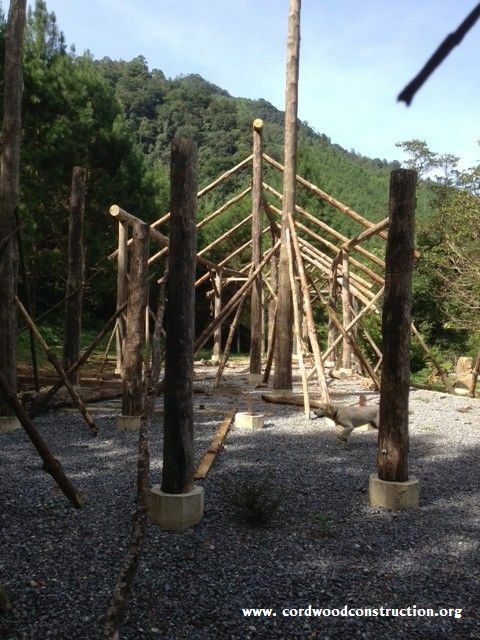 CCFC’s Ecology Center Building A “The Large Quetzal” has its foundation in place. Evenly spaced concrete plinths will be the footers for large eucalyptus logs. In every step of this building process, great care is taken to minimize impact on the environment. Please consider donating time or resources to this fine organization.